Gary is a native of Wharton, TX., graduated from Southwest Texas State University and received two BBA’s in Finance and Accounting. After graduating, Gary moved to Houston and began doing ministry with Turning Point Ministries while working as a Financial Analyst for The Minute Maid Company. 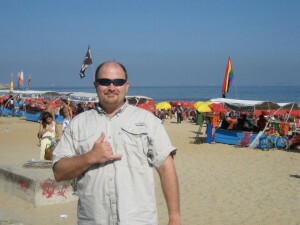 He left this job to attended YWAM’s Discipleship Training School (DTS) on the Big Island of Hawaii. After completing DTS, he worked for 2 years, with YWAM while his love for missions, the local church and evangelism grew. Gary then transferred and graduated from YWAM School of Biblical Studies in Montana in 1996. After returning to Houston he began working with a group of believers to start a local church on the west side of Town. Not long after, Gary received a job as a Controller with The Minute Maid Company, in Waco TX where he worked for two years. Gary then attended Antioch Community Church Mission Training School. While at ACC he helped pastor the 20-somethings group and served as short-term missions coordinator for five years. For health reasons, Gary moved back to Wharton in December 2002, where he started a Job with Champion Technologies, as a Sr. Cost Accountant. Over the next nine and a half years, Gary has had eight different jobs with Champion, which required him to move to different parts of Houston, but he remains involved with short-term missions, the local church and small groups. 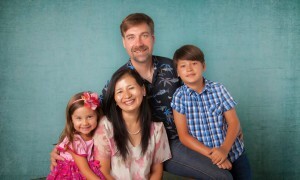 Josh and his wife, Tsaganna, live in Mongolia with their two children and have been married for 12 years. Tsaganna is a native Mongolian. Josh, a Kansas native, completed 3 years with Peace Corps after graduating college. In 1999, Josh attended Antioch Community Church Mission Training School before he moved to Mongolia. The Crosslins have a love for reaching the nations with the gospel of Jesus Christ. They have been serving over seas, faithfully for the last 10 years. They are now seeing a large church movement across the continent of Asia. *Josh served faithfully on our board for many years. He now only serves as an advisor for overseas missions. David Groce is a native of Fort Worth, TX. A product of a loving, nurturing Christian home, David rejoices in the role of loving husband and father, leading his family in the fear and love of the Lord. David and his beautiful wife, Jennifer, have been married for 14 years, and have two children. David graduated from Oklahoma Baptist University with a B.A. in Political Science and a minor in Spanish. 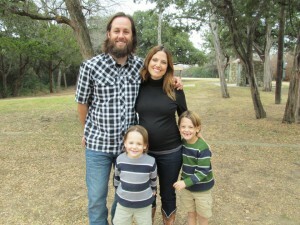 David earned his law degree from Baylor Law School and his MTAX from Baylor School of Business. David and Jennifer have been long time supporters of Stillwater Refuge. David’s motto is to live a life of priority: faith, family and then work. 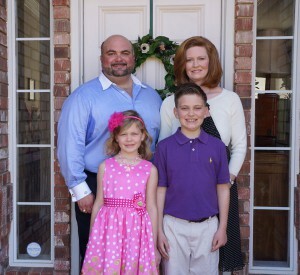 David and Jennifer passionately believe in being active in their local church and various Christian organizations. David brings his skill and expertise as a tax attorney and small business owner to the board, adding applied knowledge and keen insight to provide motivational leadership, board development, fine-tune ministries and inspiring others to excellence. Hans W. Meinardus attended Texas A&M where he completed Undergraduate & Graduate degrees in Geology. It was there he also met and married his wife, Autumn. They have been married for 24 years. After working 14 years in Austin, for an environmental engineering consulting company as a Hydro geologist, their family moved to Grapeland. They have three children and one dog. 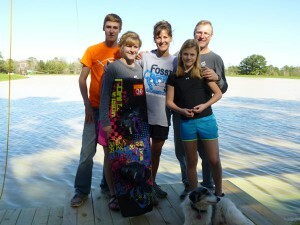 No stranger to Christian Youth Camping, Hans has been a camper, counselor, and then Program Director. Hans also served on Frontier Camp’s Board of Directors for three years, and was a Teen Week guest speaker from 1993 through 2003. They now live adjacent to Frontier Camp and love the outdoors. Camping, hiking, biking, swimming, water skiing, fossil collecting, archery, and building things are a few of the family’s favorite activities. The Meinardus family actively participates in AWANA. Sharing the gospel of Jesus Christ with kids and encouraging them to grow in their relationship with God is Hans’ priority. Hans is an acting advisor on Stillwater Refuge’s board to help with the quality and direction of camp. The Warrens have been married for 30 years and have 3 children. Neel is an Elder at Palestine Church, where he and Kristi are involved in marriage and family ministry. For over 30 years they have been involved in various aspects of ministry, from youth, college to small groups. They have a heart to see the local church equip people to take the Kingdom into all domains of life. Neel owns and operates Warren AC & Heat. Kristi is a professor at Stephen F. Austin, in Nacogdoches, Tx. The Wibles have been married since 2000 and have 3 boys. Matt and Dawn are long-time friends and supporters of Stillwater Refuge. 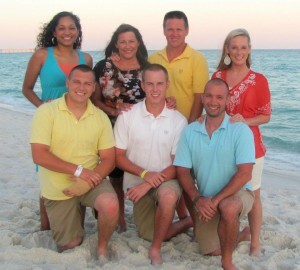 They have extensive backgrounds in Youth Ministry, Local and Over Seas Missions, local church and non-profit work. After years on staff at Highland Baptist in Waco, they founded Heart of Texas Field Guides in 2010. Through Field Guides they offer Christ centered mentorship (Guides) to young men as they live in this world (which Jesus called the Field).